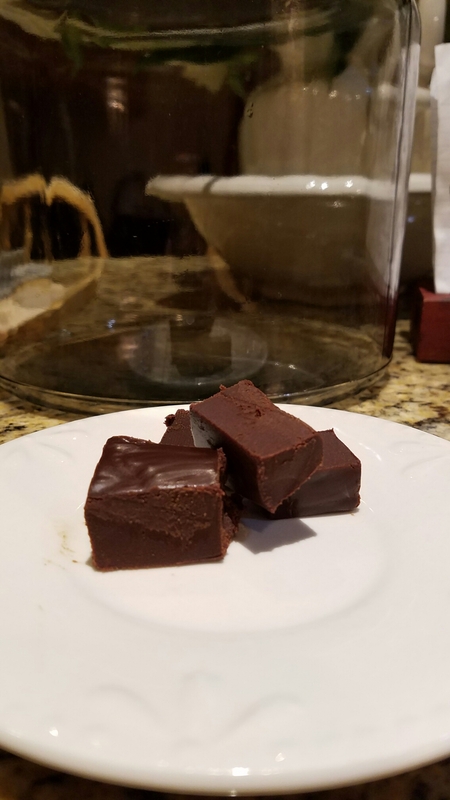 I tried unsuccessfully a couple thanksgivings ago to make fudge…well here is my success!! I found a recipe when I Google marshmellows in fudge and I followed it except for I used enjoy life butter and enjoy life chocolate chips and rice milk instead of evaporated milk…oh wow..my kids loved it and so did I…its not milky like milk chocolate fudge but it is decadent like fudge and tastes like fudge and has the consistency of fudge..to say I’m happy about it is an understatement. Here is the link to the recipe I used, I followed it exactly except for the subs and I had a little less than 3 cups of chocolate chips..worked great anyway…now it’s got me thinking of adding mint and getting mint chocolate fudge..YES! Thank you! Decadent fudge sounds perfect! I’m really glad you found a way to still have chocolate! That is actually something I miss!